Lose yourself in exotic Bollywood choreography and build your track library with the Zumba Fitness Rush Bollywood Style Pack. This 3-song pack includes the hit "Beware of the Boys" by DJ Punjabi, along with contagious Zumba® originals "Start the Fire" and "Bangalore Dreaming." EDISON, N.J., May 15, 2012 - Majesco Entertainment Company (NASDAQ: COOL), an innovative provider of video games for the mass market, just released its first Zumba® Fitness Rush downloadable dance style pack featuring three exotic Bollywood songs to spice up your workout and build your track library. Additionally, Majesco Entertainment launched a Zumba® wear Avatar Collection so fans can customize their Xbox LIVE® avatars with virtual apparel inspired by the fan favorite Zumba® Wear apparel and accessory line currently worn by millions. 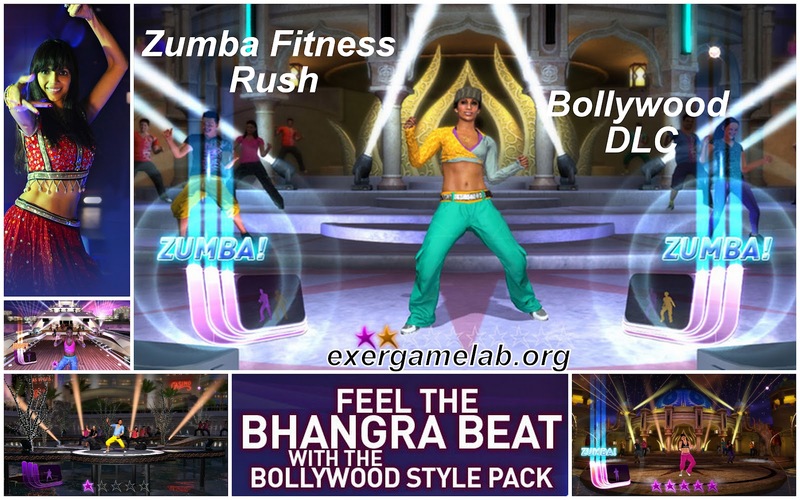 The Zumba® Fitness Rush Bollywood Style Pack is available now for 480 Microsoft Points ($6.00) on Xbox LIVE® Marketplace for the Xbox 360® video game and entertainment system from Microsoft. The 10-piece Zumba® Wear Avatar Collection is also available now on Xbox LIVE Marketplace for Xbox 360, with individual apparel items ranging from 80 Microsoft Points ($1.00) to 160 Microsoft Points ($2.00). You can also show off your style with the new Zumba® Wear Avatar Collection that features a range of vibrant men's and women's apparel, from virtual tank tops, cargo pants and vests to the sporty Zumba® Team Track Jacket and classic Zumba® Fedora. To preview the full collection, please click here. Zumba® Fitness Rush, available on KinectTM for Xbox 360, invites you to lose yourself in the music with a fun, effective workout that makes you forget you're even exercising. Get a total body workout and party yourself into shape with 42 sizzling new songs and routines while you move to 24 international dance styles - that's twice the number of styles included in the original Zumba® Fitness game and more than any other dance game. Six superstar Zumba instructors guide you through each routine in a variety of new, exclusive arenas, while the new Progress Tracker calculates calories burned so you can maximize your workout. For more information about Zumba® Fitness Rush, the Bollywood Style Pack and the Zumba® Wear Avatar Collection, please visit zumbafitnessgame.com. Zumba Fitness is a global lifestyle brand that fuses fitness, entertainment and culture into an exhilarating dance-party workout. Coined "fitness-parties," Zumba classes blend upbeat world rhythms with easy-to-follow choreography, which provide effective, total-body workouts. Founded in 2001, the company is now the largest branded fitness program in the world -- reporting more than 12 million weekly class participants, in over 110,000 locations, across more than 125 countries. In addition to its original Zumba® program, the company also offers a range of specialty classes, including Zumba Gold® (for active older adults), Zumba® Toning (body-sculpting class that uses maraca-like Toning Sticks), Aqua Zumba® (the ultimate "pool party" workout), Zumbatomic® (Zumba routines for kids), Zumba SentaoTM (chair-based Zumba class that strengthens, balances and stabilizes the core) and Zumba® in the Circuit (a 30-minute workout that combines signature Zumba® moves with circuit training at timed intervals). The Zumba® fitness lifestyle is rounded out by the company's many consumer product offerings, including DVD sets, music collections, multi-seasonal apparel and footwear, video games, Fitness-ConcertTM events and a lifestyle magazine. For more information about Zumba Fitness programs and products, or to find a live class, visit zumba.com and find us on Facebook and Twitter. Majesco Entertainment Company is a provider of video games for the mass market. Building on more than 20 years of operating history, the company is focused on developing and publishing a wide range of casual and family oriented video games on all leading console and handheld platforms as well as online, social networks and mobile devices. Product highlights include Zumba® Fitness, Cooking Mama, Alvin and the Chipmunks, and Hulk Hogan's Main Event. The company's shares are traded on the Nasdaq Stock Market under the symbol: COOL. Majesco is headquartered in Edison, NJ with offices in San Francisco, CA, Brockhampton, UK, and a social games development studio in Foxboro, MA. More info can be found online at http://www.majescoentertainment.com/ or on Twitter atwww.twitter.com/majesco.